How do I know if my friend/family member has a gambling problem? They are spending a lot of time gambling or are preoccupied with gambling to the extent that they are neglecting their family and friends. They are gambling to cope with negative emotional states like worry, depression or stress. They are borrowing money in order to pay for essentials because they have lost their money gambling. They have tried to stop or cut down on gambling numerous times without success. My friend/family member has a gambling problem, but they refuse to get help, what can I do? Even though there is help available for people with a gambling problem, very few problem gamblers choose to get help. Most often than not, family and friends are aware of the problem long before the person gambling makes the decision to seek help. There is a common misconception that you cannot help someone if they are not ready to change, however there are things that family and close friends can do to help motivate people who are resistant to change or struggling with this behaviour. At the Statewide Gambling Therapy Service, we are available to work with the families and close friends of those affected, even if the gambler themselves is not currently in treatment. This can be at face to face sessions or over the phone. To find out more about how you can help someone, download the Mental Health First Aid Guideline on Helping Someone with Gambling Problems. My friend/family member is attending treatment, how can I help them? The involvement of family or close friends during the treatment phase is important. If the person with the gambling problem agrees, you may attend their first appointment as a support person. This can be helpful in gaining an understanding about gambling disorders and how the treatment works to overcome the problem. Our therapists are also available to see family and friends independently if needed. This can be useful for those who are struggling with how the gambling problem has impacted their life. 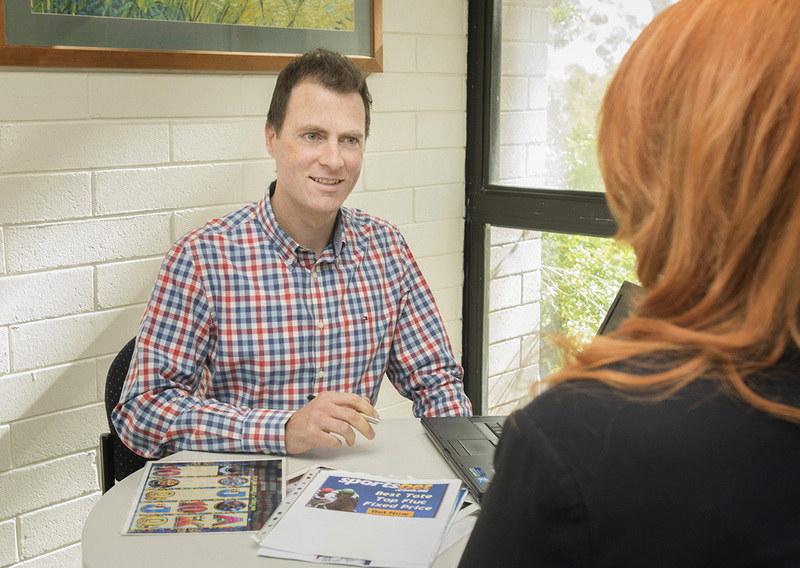 Our qualified health professionals can provide you with information about problem gambling and help you manage any anxiety or related issues. Are there any support groups that I can attend? The Statewide Gambling Therapy Service runs a support group for significant others affected by problem gambling. Support groups are generally run in the evening between 6pm and 8pm. The next support group will commence on Tuesday the 3rd of June for six weeks however spaces are limited. For more information, or to book in a place please contact our head office on (08) 8204 6982.